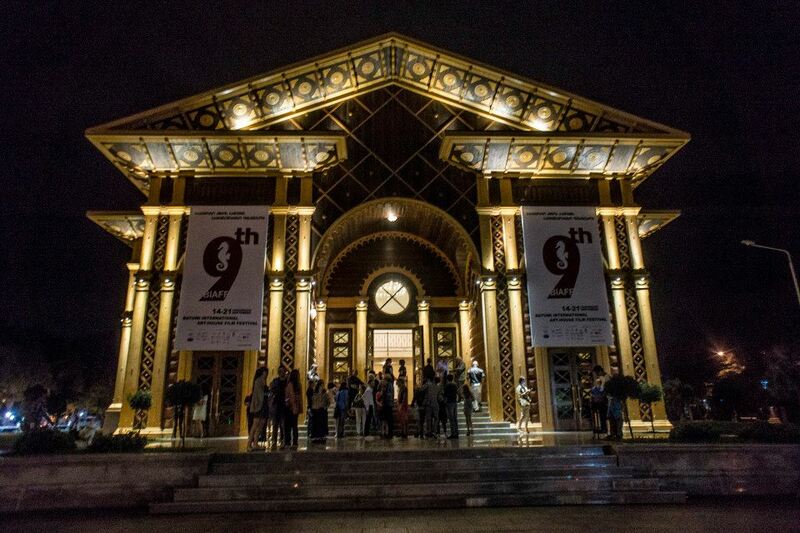 9th Batumi International Art House Film Festival was made at between 14-21 September 2014 dates. For competition themes, there were “International Competition of Feature Films” section, “International Competition of Documentary Films” section and “International Competition of Short Films” section were taken place at the festival. And also; “Georgian Panorama, Masters Collection, Retrospective, Cannes Critics Week Films and European Film Academy’s Short Film Tour” were the other parts taken part at the festival. Several marvelous masterclasses have taken place at the festival as well. For me, masterclasses “Talk To Charles Tesson Meeting with Artistic Director of Film Critique’s Week’s section of Cannes Film Festival” and masterclass with Australian producer, director and actor Andrew Vial about “Practical Filmmaking Workshop” were the highlights. 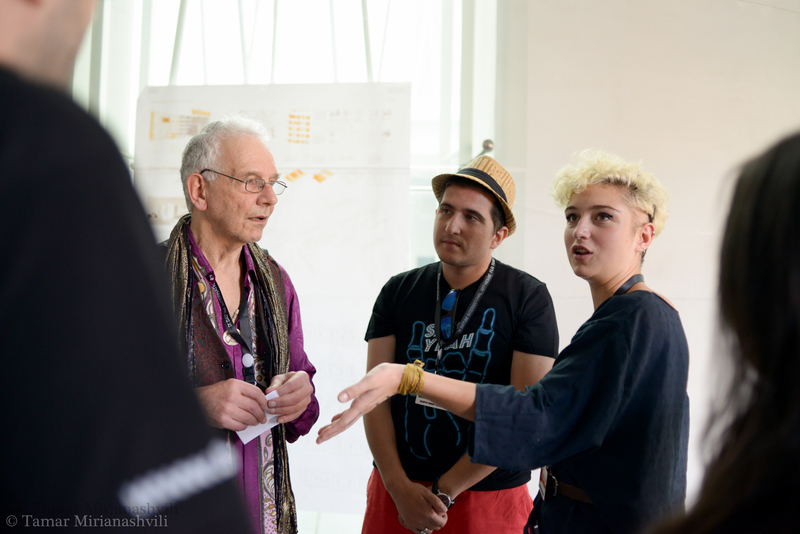 Charles Tesson has given information about Film Critique’s Week section of Cannes Film Festival and Andrew Vial has made a workshop of practical film making with the participants of his workshop. I also have had a chance of taking place at the workshop as a “script writer” and as an “actor”. All the participants have had the chance of understanding the simplicity of amateur film making and had enjoyable times. The films which have taken place at competition sections have been choosen superbly. At “International Competition of Feature Films section” ten films competed. Although Spanish producer and director Luis Minarro’s film “Falling Star” could not take any prize at the festival, this film was my favorite. It was really artistic, cinematography of the film was facinating and the script of the film was charming. India, France, Germany and USA co-production, Ritesh Batra’s film Lunchbox attracted festival audiance with its main actor’s (Irfan Khan) performance and with its magical script. After its screening the audiance of the film clapped the film for several minutes. Another film “Cure: The Life of Another” co-production of Switzerland, Croatia and Bosnia and Herzegovina directed by Andrea Staka was also great. Sylvie Marinkovic’s performance as a young actress acting as Linda, should be seen by film critiques and cinephiles. It seems she will be known worldwide as an actress at an early future. At section “International Competition of Documentary Films” eight films and at section “International Competition of Short Films” twenty five films have competed. At “Competition of Documentary Films” section, the documentary films, World Peace Dance, Waiting for August and Istanbul United were the best ones for me. Georgian film, “Legend of Suram Fortress” directed by Sergei Parajanov and Dodo Abashidze was chosen as the opening film of the festival. 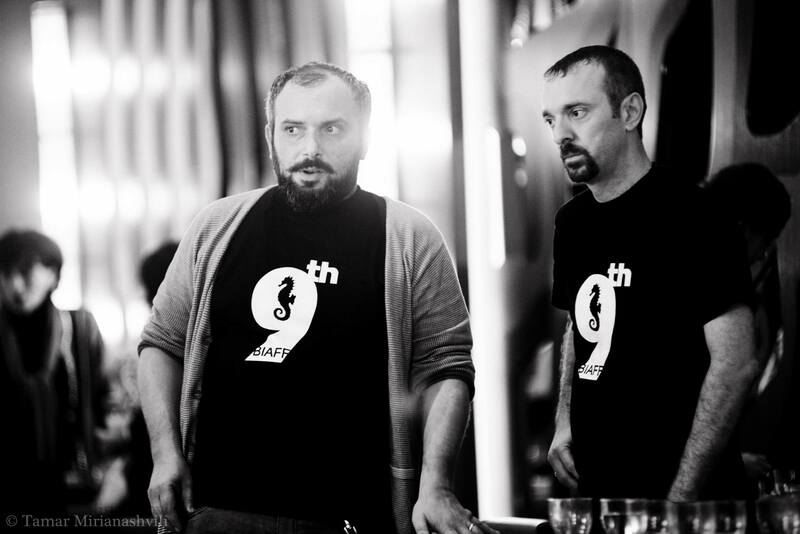 For the closing film of the festival “Corn Island” co-production of Georgia, Germany, France, Czech Republic and Kazakhstan directed by George Ovashvili was chosen. I can easily mention that for me the best film of the festival was Corn Island. Corn Island effected me with its magnificent script, cast and style. At the Batumi International Art House Film Festival, as a film critique I have been fascinated by many Georgian films like; Corn Island, Legend of Surami Fortress, Ahik Kerib, Brides, World Peace Dance (Documentary Film), Blind Dates, I am Little Georgian and Other City. I think Georgian cinema is really powerful and achievements at “Georgian Cinema” will effect the world cinema at many areas. The Georgian style of “telling stories like a poem or literature” at cinema language as a script will influence the telling way of scripts in world cinema. I think for supporting “Georgian Cinema” many things should be made. Batumi International Art House Film Festival’s organisation was magnificent and great. 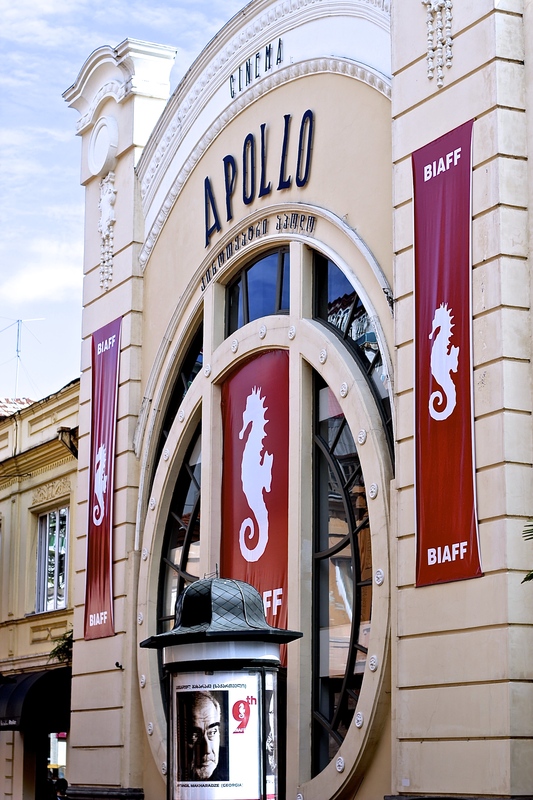 Screenings have taken place at Cinema Apollo and at Outdoor Cinema (for open air screenings). 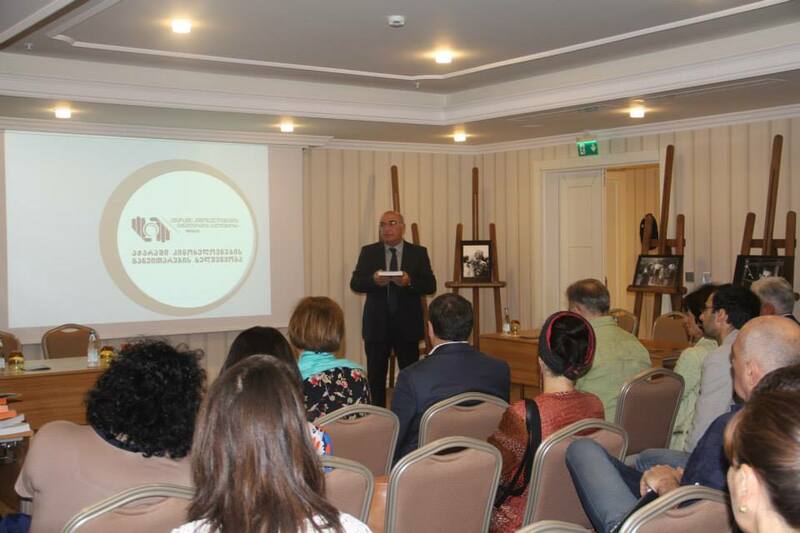 And short film screenings and some masterclasses have taken place at Hotel Divan Suites Batumi’s Ballroom. And some masterclasses have organised in Batumi Art State University. Many dinners, coctails different kind of events also organised by festival committee. Batumi is a very nice little seaside city for visiting. It has a lot of things to see like Botanical Gardens, Adjara Arts Museum or Opera and Drama Theatre. Georgian cuisine is very unique and tasty. The city’s having this film festival organisation makes this city more attractive. I hope being in Batumi Art House Film Festival in my lifetime again; special thanks for everything to festival committe especially Zviad Eliziani (Festival Manager) and Giorgi Gogiberidze (Director of the Festival).